of which have been written down. "Those older systems provide us some, I will say, huge safety, when it comes to some cyber issues that we currently have in the world,"
Read the full report on the below given link. I am posting a summary of my commands after a bit of Googling and after playing on my CentOS VM with sed. can then use the -i option. In one of my earlier posts I wrote about bandwidth vs speed using the road and car analogy. This post has been written by Chandan Singh Takuli from CISCO. Too fast Too furious - who doesn't like speed, especially when we talk about the internet or network connectivity? But the real question is, which is better to have: fast speed or more bandwidth? Although these terms are inter-related, they're not same. As an internet or network user, "fast speed" means a faster rate of data communications. That sounds good, because who doesn't want a fast network connection? But when we start thinking about it as network engineers, things change a little bit as we talk about bandwidth over WAN and speed over LAN. Many network engineering friends of mine ask me, "What’s the difference?" So let’s dive into it. The free command is used in LINUX to give stats about MEMORY/SWAP usage. Others may have blogged about this simple command before but most important is HOW to understand & interpret the results. 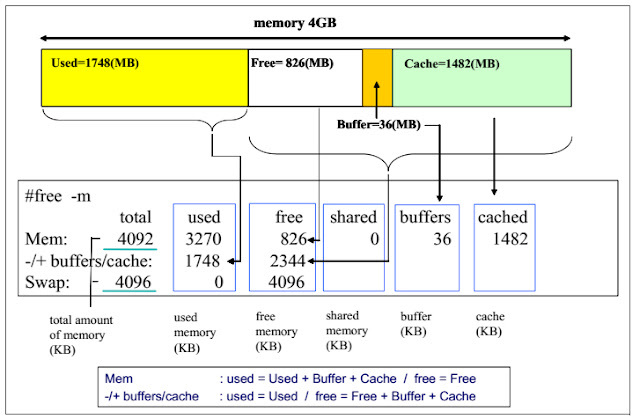 That’s why memory is used for caching whenever possible. The world backup day is an initiative to make people aware on the importance of backup. Your hard disk, smartphone or laptop may not be always loyal to you. Computers get infected with viruses, smartphones are lost and your hard disk gets fried. About 5 minutes ago I found a nice freeware tool (InstalledDriversList) which can be used to view the installed drivers on your PC. This tool may be used to identify which drivers are causing trouble on Windows.